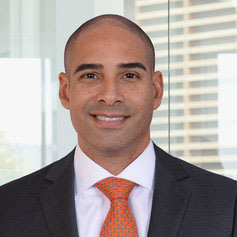 Niko is the Business Development Director for KPMG in the Cayman Islands. He has over fifteen years of experience working within the Financial Services sector. In his current role he has been tasked with building and strengthening relationships across audit, tax and advisory. Niko manages multiple relationships in the local and international financial market. Niko has coordinated numerous proposals and projects ensuring that the correct team is put together to provide valuable and beneficial output to our clients. He is an expert at identifying opportunities and talent to provide clients optimal results which align with KPMG’s high standards. He is a strong communicator and has proven management and leadership skills. Niko’s client base includes alternative investment vehicles domiciled in the Cayman Islands, the British Virgin Islands and the United States. These clients invested in a variety of investment products through a wide range of hedge fund, funds of funds and private equity structures.